There’s some sort of sporting event being televised on Sunday. Best you have some game food ready. Mix all the ingredients (except the sesame seeds) and pour over the chicken in two gallon size zip top bags. Marinate the chicken in the refrigerator for 2 hours or overnight. Place the chicken on a foil lined baking sheet and bake for 25-30 minutes. Sprinkle over the sesame seeds for serving. 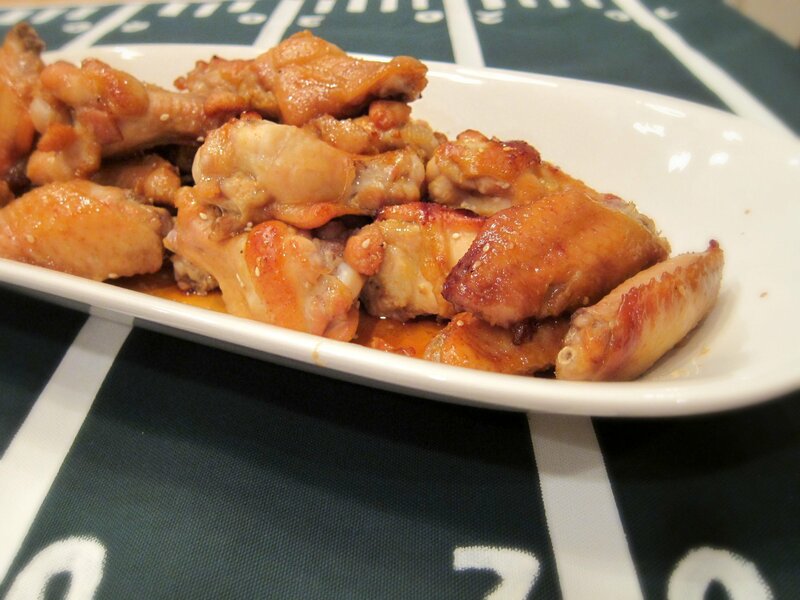 You can reduce the marinade over high heat and serve with the wings as a dipping sauce.